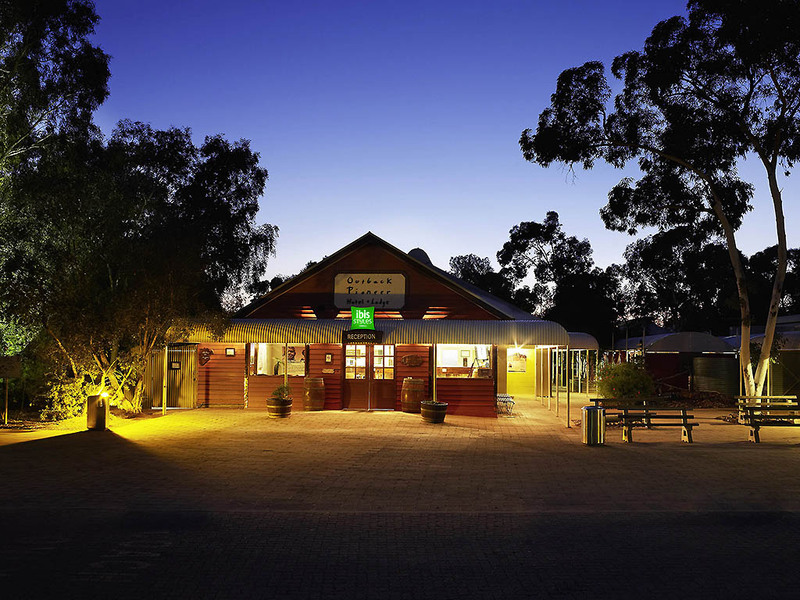 You'll find traditional Aussie hospitality at the Outback Pioneer Hotel, with your choice of 3.5 star comfortable, affordable standard or budget hotel accommodation. This hotel is perfect for the demands of travellers looking for quality service in relaxed surrounds. This is a place where friendships are made and good times are had by all. Standard Rooms are comfortable and spacious and feature one queen and one single bed. All rooms have private ensuite, mini-bar, television and movies on demand. Interconnecting rooms are available. Economy Rooms with ensuite bathroom feature 4 single bunk beds or 1 double and 1 single bed and a private bathroom, tea and coffee facilities and bed linen are provided. Guests have access to the common room with TV, self-catering kitchen and laundry. A low-priced alternative to restaurant dining with pizzas, burgers, salads, wraps and sandwiches on the menu. Open daily for lunch and dinner. A do-it-yourself BBQ (meat must be purchased at the BBQ Bar) with traditional Aussie charm. Meet up with your fellow travellers and enjoy live entertainment nightly. Open daily for dinner. This restaurant offers a traditional Aussie breakfast. For dinner, enjoy traditional flavours at a popular buffet featuring traditional Australian "tucker" and local delicacies (meats, breads, pastries and desserts). Children's menu available. A popular dining and bar option at Ayers Rock Resort. A do-it-yourself BBQ (meat purchased at the BBQ Bar) with traditional Aussie charm. Meet up with your fellow travellers and enjoy live entertainment nightly. Open daily for dinner.